$5/$20 Fresh, Frozen Or Deli Meat In This Weeks Target Ad - Use at PC! 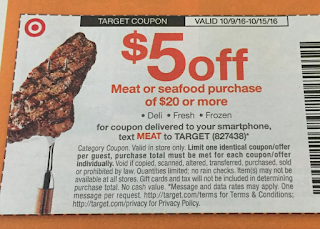 Check out the back of this weeks Target ad for a $5/$20 meat or seafood purchase. Meat can be fresh, frozen or from the deli. This can be used at Price Chopper as a competitor coupon!